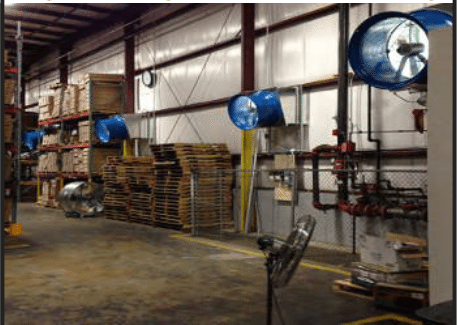 Like the Keep The Heat system, Blue Fans industrial ventilation fans will exchange the external air’s heat difference with the fresh air it’s bringing in. Unlike the Keep the Heat System, it handles much larger air flows meaning it is perfect for larger shop environments. Unlike the Keep the Heat System, it handles much larger air flows meaning it is perfect for larger shop environments.